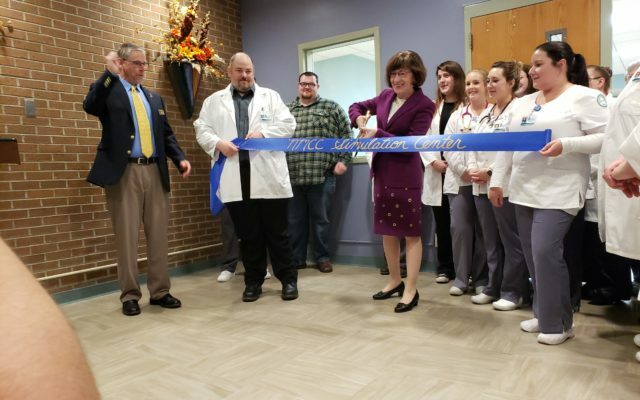 U.S. Sen. Susan Collins gave brief remarks Friday during a ribbon cutting ceremony for the new allied health simulation center at Northern Maine Community College and also visited the precision machining technology lab. PRESQUE ISLE, Maine — U.S. Sen. Susan Collins gave brief remarks Friday during a ribbon cutting ceremony for the new allied health simulation center at Northern Maine Community College and also visited the precision machining technology lab. 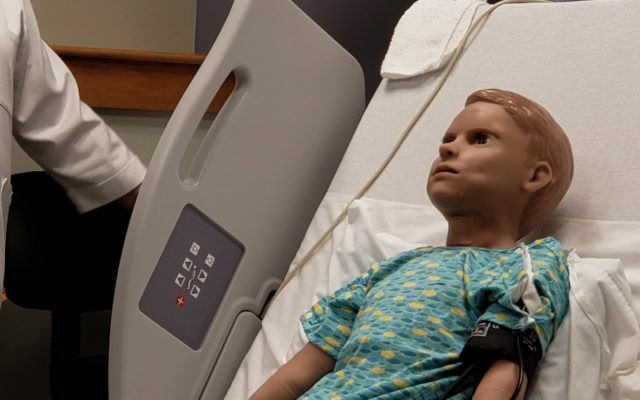 The simulation center, located on the second story of the Christie Complex on NMCC’s Presque Isle campus, provides “the highest quality clinical experience for students and current health care professionals,” she said. The simulation center consists of three simulation rooms, complete with interactive mannequins, and has a control room dedicated to each room. Instructors record events that occur in each room to debrief the students after each simulation. Collins toured the new facility and also visited a class at the college’s precision machining technology lab. “The faculty and staff at Northern Maine Community College are dedicated to creating opportunities for students in Aroostook County and throughout Maine, and I congratulate them on this outstanding accomplishment,” Collins said. The senator helped secure funding for the machining technology program that allowed NMCC to become Maine’s first and only HAAS Technical Education Center, according to a press release issued by Collins’ office. The college’s collaborative relationship with HAAS Automation, Inc., affords students access to state-of-the-art machine tools to support training in both entry-level and advanced machining processes, states the release. This program enables students to develop skills in setting up and operating conventional machine tools to produce precision parts and develop the required skills in preparation for Computer Numerical Control programming, setup, and operation, according to the release. Students have consistently had the opportunity to be employed as interns in the summer and employed upon graduation. U.S. Sen. Susan Collins (center) and Northern Maine Community College President Tim Crowley (left) join faculty, staff and students at a ribbon cutting ceremony for the new nursing simulation lab at Northern Maine Community College on Friday, Oct. 12.